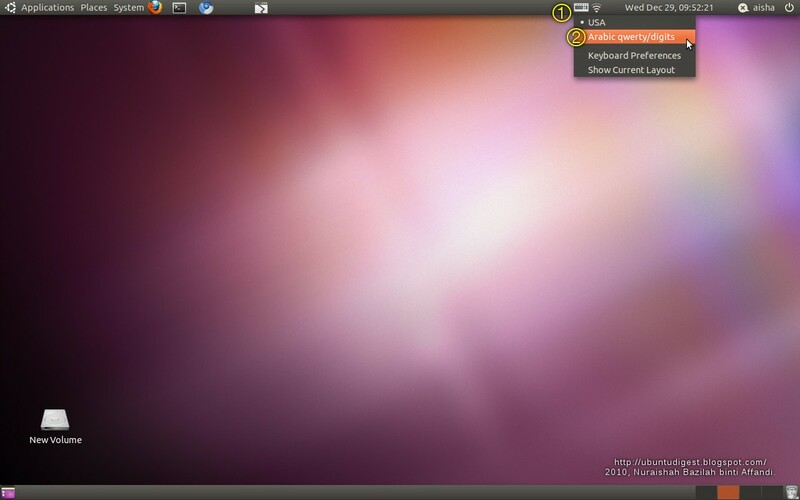 After upgrading from Ubuntu 10.04 to Ubuntu 10.10, lots of things had to be customised to make my laptop feel homely and personal again -- the way it was before the upgrade; applications and plug-ins had to be re-installed, settings had to be adjusted, search for solutions for new problems, etc. 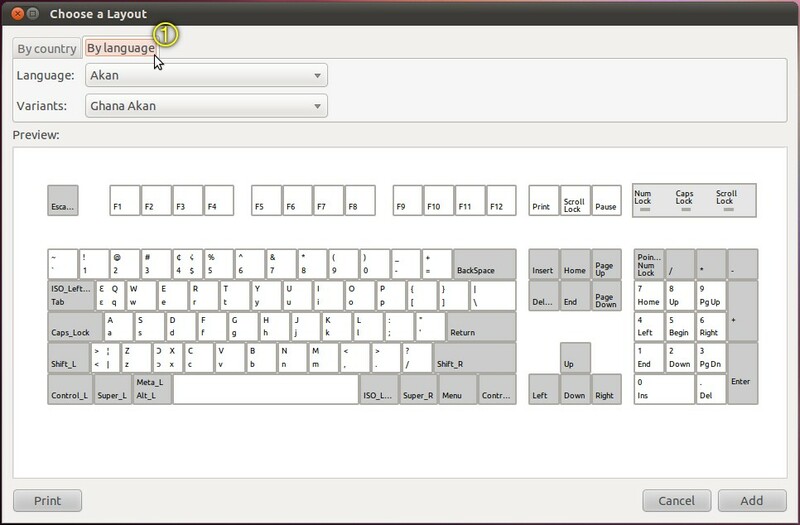 One of the customisation is the keyboard layout for different scripts. Mainly, i use the English script to write in English *of course*, or Rumi (modern Malay script). Sometimes i use the Arabic script in pictures or, for Jawi (old Malay script). Rarely do i use Mandarin. i did try Tamil *or was it Malayalam? Can't remember* a few times. 1. From the Panel > System > Preferences > Keyboard. See Pic 1. Pic 1 - Refer Step 1. 2. In the Keyboard Preferences window, go to the Layouts tab, and click the Add... button. See Pic 2. Pic 2 - Refer Step 2. 3. A new window titled Choose a Layout appears. Go to the By language tab. See Pic 3. Pic 3 - Refer Step 3. 4. In the Language: list, scroll to the language of your choice. Here, i chose Arabic. See Pic 4. Pic 4 - Refer Step 4. 5. The choices under the Variants: list is different for each language. If you already know what you're looking for, scroll to that option. If you don't know what you're looking for, try out an option and see how the keyboard layout changes in the Preview: field. Choose what option suits you. Here, i chose Arabic qwerty/digits. See Pic 5. Pic 5 - Refer Step 5. 6. Then click the Add button, located on the lower-right corner of the Choose a Layout window. Pic 6 - Refer Step 6. 7. 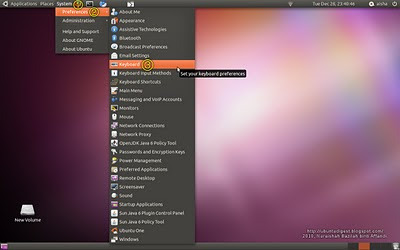 Notice a shortcut appears on the upper Panel. 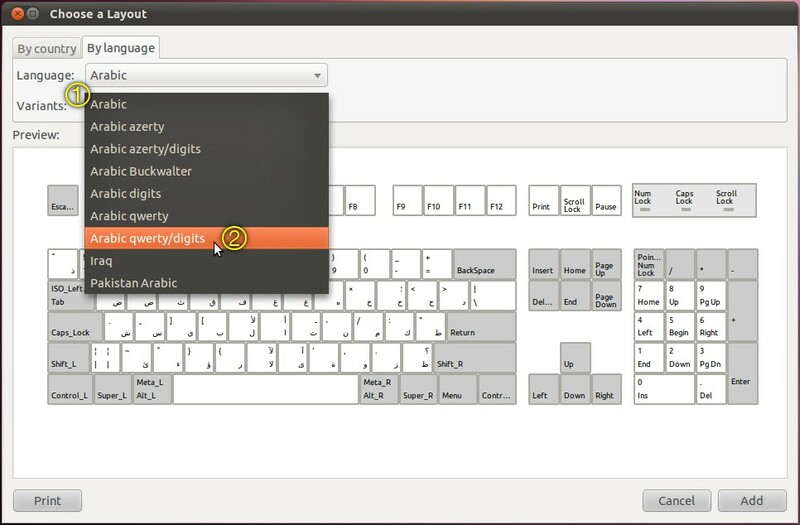 Notice also in the Keyboard Preferences window that the Arabic qwerty/digits has been added to the list. See Pic 7. Pic 7 - Refer Step 7. 8. 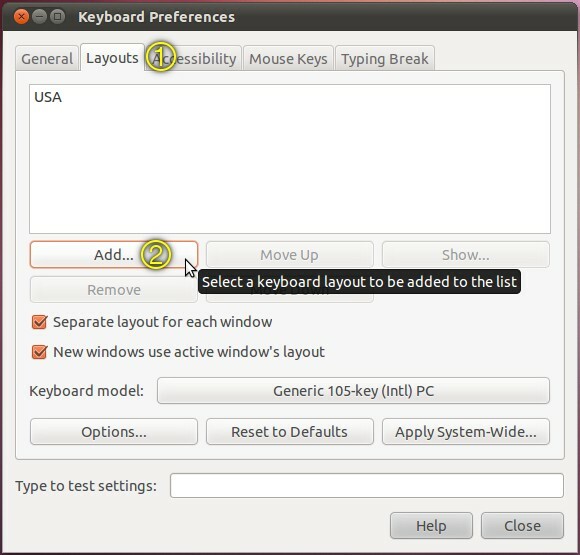 Then click the Close button to close the Keyboard Preferences window. See Pic 8. Later on, i unchecked the Separate layout for each window option. This is optional. Pic 8 - Refer Step 8. 9. So, whenever you need to switch your keyboard layout to fit the script you want, simply click the keyboard icon in the Panel, then click the layout of your choice. See Pic 9. Pic 9 - Refer Step 9. In Ubuntu 10.04, the active keyboard layout is indicated with letters (such as USA for English US, or Ara for Arabic); however, this is not so in Ubuntu 10.10. See Pic 10. 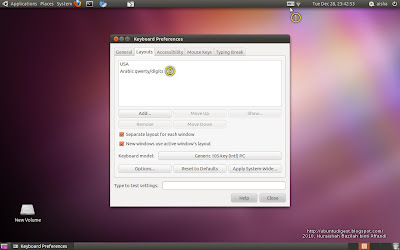 Pic 10 - Comparing active keyboard indication. You might want to look-up in the Synaptic Package Manager (Panel > System > Administration) for some Arabic fonts. Simply type arabic in the search field.